Miss Kathy is the new owner of the studio. 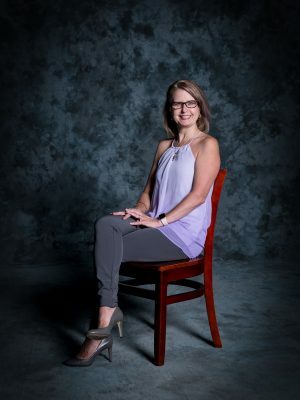 She has been teaching in the Calgary area for over 15 years in preschools, recreation centers and dance studios as well as teaching dance curriculum for school boards and choreographing for musical theatre productions. She was bitten by the dancing bug at the age of 5 and has rarely stopped since then, even taking classes while pregnant. She grew up in the United States where she enjoyed competing in ballet, jazz and pointe but following her heart, got married and moved to Canada. A couple years after giving birth to her fourth daughter she suffered through a life threatening illness which left her questioning her future once on the road to recovery. Realizing that teaching ballet was her Nirvana, she worked hard to meet the qualifications to become the best teacher she could be. Miss Kathy is very proud of her ballet teaching status with Royal Academy of Dance (RAD) and Canadian Dance Teacher’s Association (CDTA). She is thrilled to be sharing her passion for ballet with her students and looks forward to seeing the personal growth and confidence that her students will develop through exams and/or performance opportunities in the upcoming year.